Dishdash Games and the Phalanx Consortium believe there has never been a better time for gamers to fight the zombie apocalypse than now. And there is no better system to use than Skirmish OUTBREAK, at least that what those of you who have been playing this great game have been telling us. 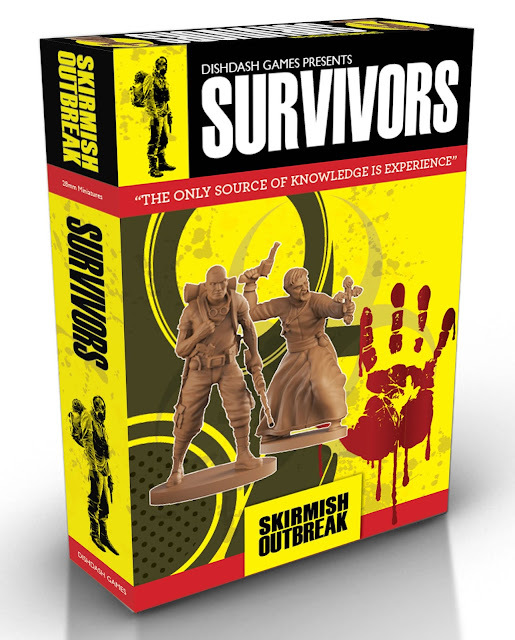 Since we launched Skirmish Outbreak it at GENCON 2015 it has gone from strength to strength. So for all our loyal players and the Zombie player community as a whole, we want your help in producing our first set of Survivors. Lets face it you can never have too many survivors right! This is our first set of 10 metal miniatures and each miniature comes with a full skirmish OUTBREAK backstory and downloadable character card (PDF). The ten individually sculpted survivor miniatures, of which you can see some samples here, will all be lovingly sculpted and developed by our team to help add character to your Zed apocalypse. Each survivor has a unique backstory and backstory pdf specifically designed for you to play these characters in Skirmish Outbreak or they give you background for zombie game of choice. 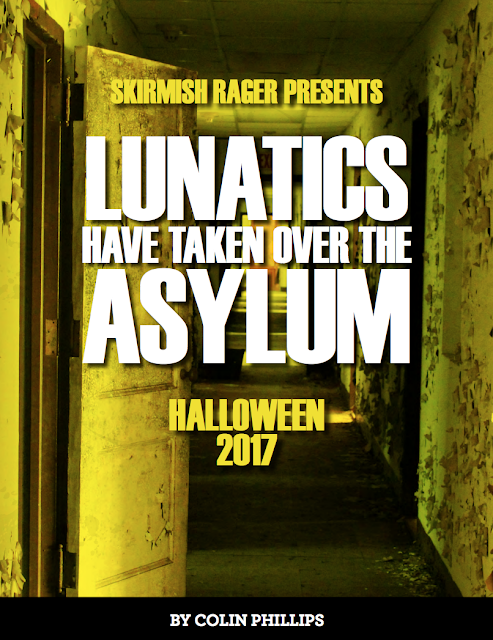 Also everyone who pledges will get a free PDF copy of the Skirmish Outbreak rulebook, a 96 page full colour book, that contains all the rules of the game. "The opportunity to have almost free reign is I feel ‘Skirmish Outbreak’s greatest strength. 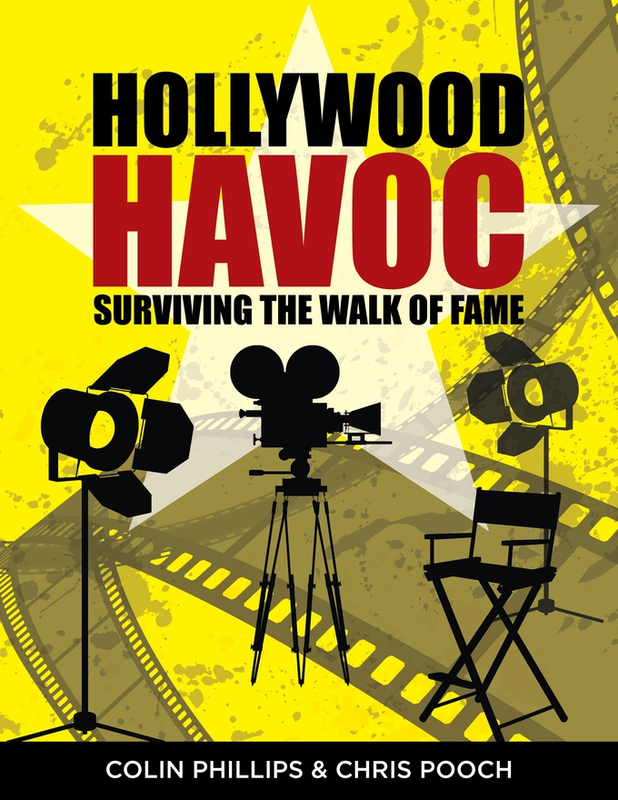 The book provides campaign rules where your characters can expand their knowledge, and several scenarios but outside of this the book gives you the scope to do the Zombie apocalypse exactly as you want to do it. I massively enjoyed this book, the narrative is dark but fun and the rules beautifully flexible. I think ‘Skirmish Outbreak’ is more than capable of holding its own and well worth the cover price." Well, I am back. Who knows for how long, but enjoy it for as long as it happens! 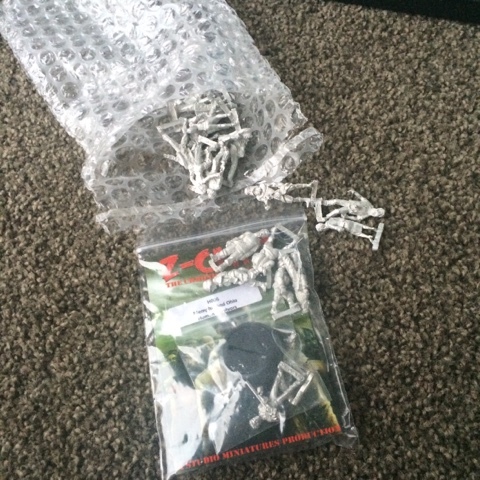 I recently purchased the box of Special Operations troops from Warlord Games, one of their Project Z boxes. Looking at Project Z, it seemed to be that Warlord had just acquired the Wargames Factory kits, repackaged/rebranded them to sell. And here is the first, easy critique to make is that there is 8 models in the pack, for what was the same price as three times that many in a Wargames Factory box. This change has also had flow on effects for the kit, but lets have a look at what is inside anyway! 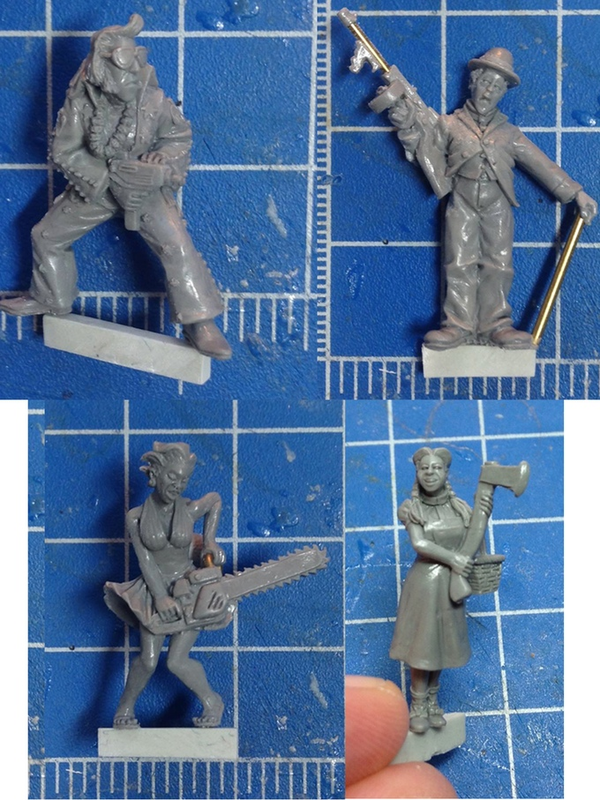 Ok, so the above image is the sprue you get. 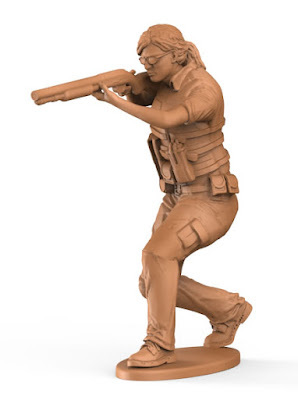 On it, are 8 sets of legs, 8 torsos, a variety of heads, three "groups" of weapons- M16, AK and SA80 plus derivatives. There is also an RPG, and an AT-4. Those familiar with other Wargames Factory kits will know the overscaled versions of their weapons (thick barrels etc), but that is a known quantity, and isn't a big issue. The weapons themselves have a variety of variants, including the LSW version of the SA80, which is nice. The sets do come with underslung grenade launchers, weirdly the M16's UGL is not the common M203, but rather the AG36. Curious choice. Weapon wise, the kit is lacking in a Light Machine Gun, a minimi/M249/PKM would be great to provide a "proper" fireteam. For my set of 8, I decided to make a full squad of the "Not Russian" Green Men from the Ukraine conflict. This meant that I would have a squad of 7, equipped with AKs, except for 1 with an RPK and another with a RPG. I gave them all balaclavas over their faces with green stuff too. Assembly on most of the figures was fine, for those familiar with the Wargames Factory kits, these assemble basically the same as every other one of those you have ever built. Each torso has a letter, each left arm has a letter, and each right arm has a letter too. The issue which presents here, is that there are only 8 left arms. Want to use the "A" right arm more than once? You can't, you don't have a left arm for it. And even worse, there are two arms which are specifically for the rocket launchers. So don't want an RPG? Too bad! Get your converting tools out! And most crucially, there are two bodies marked with the letter A. But only one A left arm. So even if you are being a good boy scout, building exactly what they want you to build, you can't. NCO, note the left arm used to be the one holding the AT-4, but with a new hand provided from another plastic kit. So none of that is a big issue, I mean, I love converting and would have probably converted them anyway. I think, in the initial planned release of these models from Wargames Factory would have been like their other boxed sets, 3 sprues of men, plus an additional sprue of "cool bits". I think that last sprue would have had all of the extra things I dream of (more left arms, LMGs, Sniper Rifles etc). So how do they paint up? 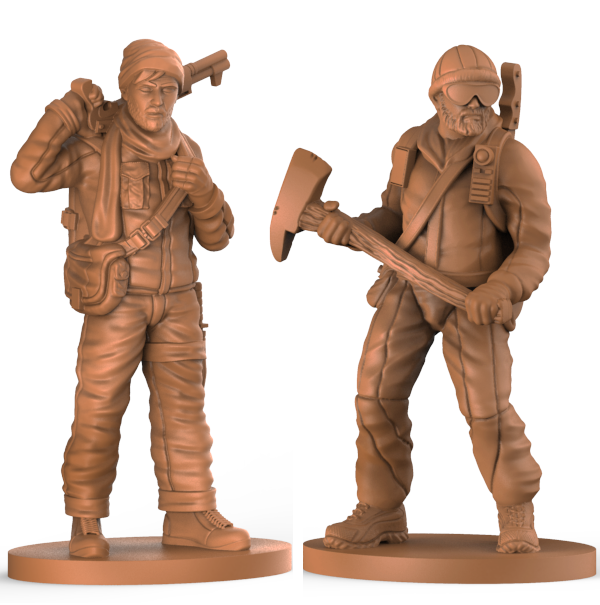 Overall, I am pretty happy how they ended up, the detail on the models are consistent with the quality I expect from the Wargames Factory plastics, so from that perspective, I am happy. So, would I buy them again? No, I don't think I would. Why? Well, I am a stickler for Modern combat and equipment (See Skirmish Sangin! ), so would prefer probably to buy from others and get accurate modern combat teams. But, if you want a pan-country modern military unit, perhaps some form of Expendables/A-team type unit, then these guys would probably be a good fit for you! 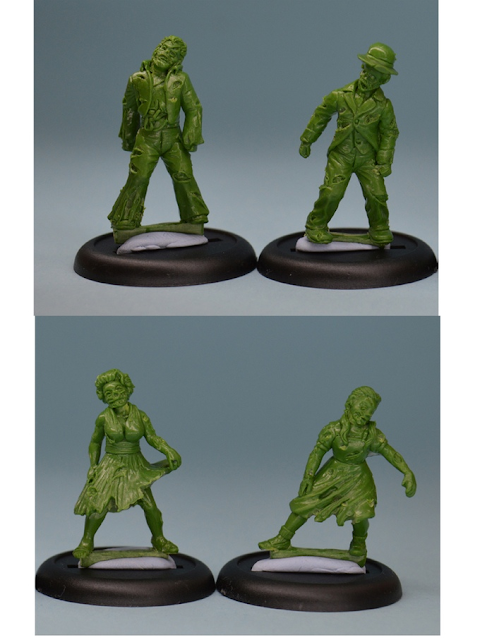 But wait, there are more survivors from Studio Miniatures painted! These two are the very iconic characters from Zombieland, Tallahassee and Columbus! 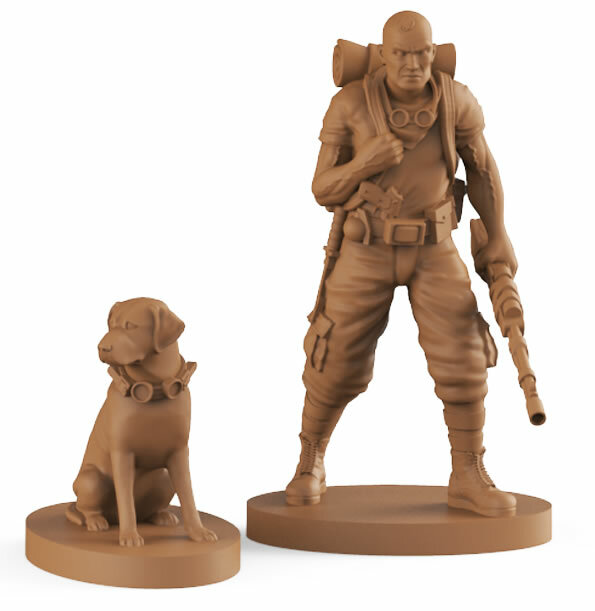 Both excellent sculpts from Studio Miniatures, and I have painted them up in the style of their movie characters. And of course, they need a way to get around, this time provided by a cheap diecast car I found on the internet, with the only addition being a hand painted number on the door- true to original! So there you have it, another couple of survivors done, back to the painting desk! Will my run of more regular posts continue? Hopefully! Walking Dead Wednesday- The Governor! When I was checking out the Studio Miniatures range at the start of the year, I noticed that I had missed a figure for the Walking Dead Wednesdays- the Governor himself! Not a part of the Kickstarter which Studio Miniatures ran last year, I have finally got around to buying him and painting him. A pretty simple paint job, a combination of dark browns and blacks leaves for a menacing figure- perfectly suited to his comic book origins! Another excellent sculpt from Studio Miniatures, plus I do have a soft spot for the Steyr rifle! Trying to get back to more regular postings, here is hoping! 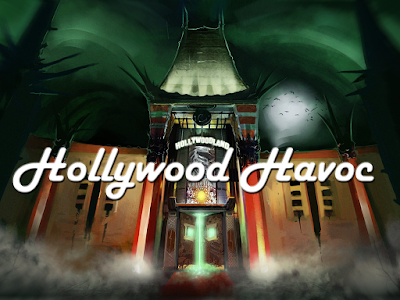 Hollywood Havoc Kickstarter is live! Well, I am back all! I will do a proper update later in the week. For now, all I want to say is Studio Miniatures' next kickstarter, Hollywood Havoc is live, and would you look at that- it even comes with it's own special little rulebook AND discounts on Skirmish Outbreak! The kickstarter is HERE, so get on board! 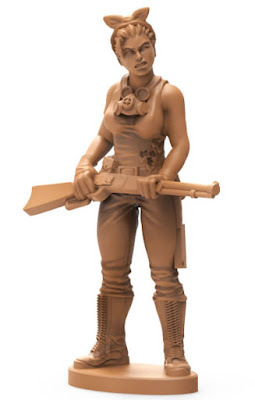 Well, January's zombie painting amounted to a grand total of.... 1 figure. Part of that, was a parcel from Studio Miniatures going missing in the postal service. Thankfully for me, they were able to sort it all out (excellent customer service!) and then this arrived in the post yesterday! Lovely, lovely collection of lead, now to get basing!